Well, there was nothing doing in H&M, New Look, Miss Selfridge or the charity shops for studded belts-these are what I got from Primark. They are so surprisingly cheap for accessories-the Topshop belt for £25 is leather (although partially) I know, but the corset belt in the top of the picture was only £3 and is a great alternative, I think!! I like the bottom one too, this was only £2 and I can wear it with dresses, jumpers and cardis in winter. Hi Deb-thanks a lot. Yes, I've a tan brown studded belt and a cream studded belt, both leather. Really, I would like a black leather studded buckle belt, I shall try and thrift this one day if possible. Both are very cool, mye favorite is nr 2. Great deals! I paid about 20 pounds for both the belts I got from H&M. Good shopping!!! Picked up another cardigan myself this afternoon, its so versatile when the weather calls for layering. Have a wonderful evening! 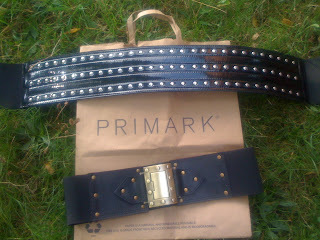 Those are great belts, I wish we had a Primark here! That's a great deal too haha you could've gotten around 8 of those belts for the price of a topshop one! First: THANK you for your lovely compliment. Even though I knew she was writing about me I still found myself blushing about the nice things she said. Those are great, and you can keep looking for that black one too! Great finds. I love both of them! I love your blog, and its so amazing some of the things you find in charity shops! I am seriously going to have to start looking!! I especially love the second belt! I so wish we had a primark in the US. Hi Silje-thanks so much-I was hoping to get one like yours, but nothing doing, never mind!! have a great weekend too! Hi savvy-thanks and thats so great to find a versace in the closet, haha!! Hi nv-yes, you're right, its a great saving on the topshop one!! Hi cal-Hi there and thanks for stopping by!! That was a great post Sal did and you have marvellous style too!! Yes Primark certainly does have some great stuff! Hi skye-thanks a lot my dear and yes, I won't stop looking!! Hi asiancajuns-thanks a lot, girls! Hi demi-thanks for your lovely comment and for stopping by-of course I don't mind you linking me!! Hi wendy-yes, admittedly they are great!! Great belts... I totally adore the first one! Cool belts! I love primark. It's a shame we do not have it here in Belgium. Hi acielle-always so lovely, thanks and have a great day too! We now have topshop on-line for the US! WOO HOO! I love the shoes on that site. I signed up for email, hoping they will be sending out promo codes soon. I also saw that belt, but without having a real look at it I decided to pass. I can find good leather belts at Value Village Thrift store. I like the bottom one too! Hi budget chics-thanks a lot!! Yes, I think Topshop is going to be very popular in the USA!! Thank you so much for reading and comment. OH MY..that belt looks like something my boyfriend would even want.. I like your finds even better than the Topshop version. The bottom one with the gold buckle (clasp?) is amazing. That will look great with dresses. Those belts are hot, Sharon! Hi ellie-always welcome and thanks too! Hi nothing elegant-thanks my dear, always so kind!! Hi couture carrie-thanks for your lovely comment! Good old Primark! Well found. Hey Sharon! Very cool bargain finds! All the inexpensive studded belts I've come across here so far have looked kinda cheap but yours are fantastic! If you ever get tired of either, you know who to send them to hehe! Great purchases. I like the second one. Great find! It's really close to your other picture. Hi claiir-thanks for stopping by! Hi kate-thanks a lot, I do like checking their stuff out every month or so! Hi danz-always so lovely, thanks!! Have a great Monday! Hi Sal-yes, thanks a lot!! Hi anjeanette-thanks and a great saving on the original topshop one!! Hi alicepleasance-yes, I think so. a little doesn't hurt!! Craaazy prices I tells ya! Both are fantastic, but I really like the second one. Chic! Hi Sharon! I love the second belt, great finds! It will look simply so wonderful with maybe a cream cardigan! Hi Imelda-LOL, oh yes indeedy!! Hi Ida-yes, me too!! thanks a lot my dear and have a great week too!! Hi cate-thanks a lot and a great idea too!! well done, but i don't understand why it's hard to find a studded belt! come on, h&m! I love Primark! It´s fantastic to buy there. 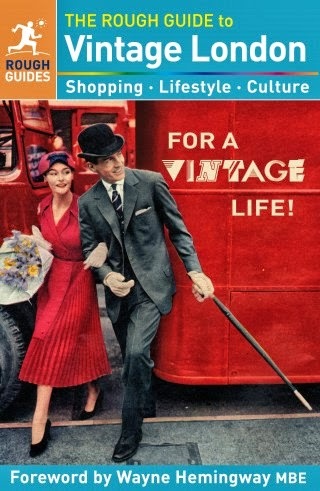 hi tupersonalshopperviajero-yes, primark has some excellent deals sometimes-I love the accessories!! I only care if it's shoes or bags. 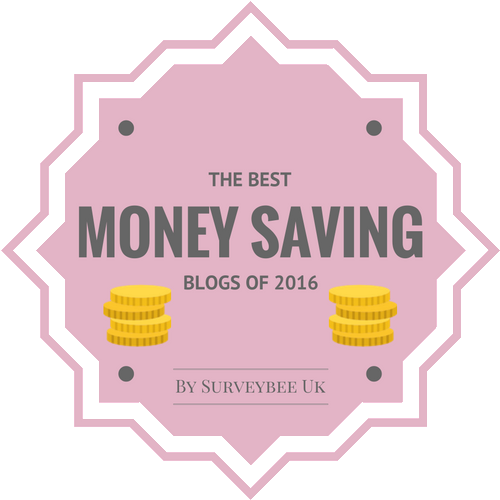 Anything else - I save where I can and this is an excellent example of how to save! wow! love them and so inexpensive! Hi pamcasso-thanks so much my dear! !